The beauty of your eyes can be further accentuated by HAWRYCH MD Brow enhancing serum that promotes fuller and thicker looking brows. It is ideal for enhancing sparse, thinning brows and restoring plucked brows. Daily use will improve the appearance of your natural eyebrows in length and fullness. It will also help prevent and repair damage of eyebrows caused by harsh cosmetics and environmental influences and will help condition and improve flexibility, while conditioning your brows to prevent breakage and improve shine. 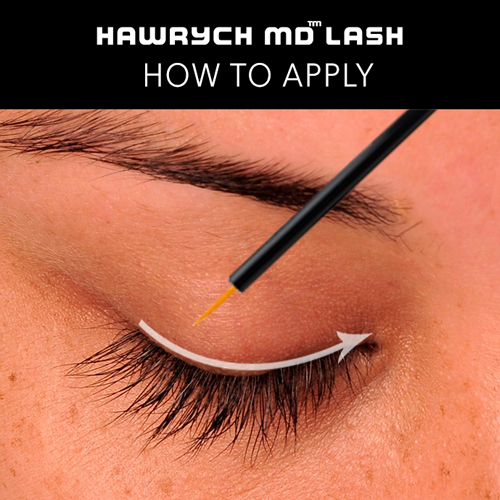 Eyelash enhancer apply daily a thin layer to the base of upper lashes like you would apply liquid eyeliner. 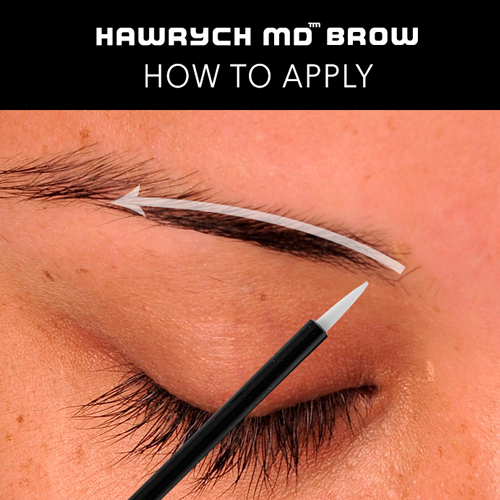 Eyebrow enhancer apply daily to the thinning areas of your brow before bed along the natural shape of your brows. My lashes and eyebrows are growing!! It took about 3 months of consistently using it EVERY NIGHT but yay!!! I am impressed and will be ordering more. EYELASH AND BROW ENHANCER Water, Glycerol, Hyaluronic Acid, Chamomilla Recutita Flower Extract, Butanamide, Leuconostoc/Radish Root Ferment Filtrate, Caprylyl Glycol, Glycosaminoglycans, Sodium Benzoate, Hydrolyzed Yeast Extract, Phenoxyethanol, Arctostaphylos Uva Ursi Extract, Tocopheryl Acetate, Sorbitan, Gluconolactone, L-Proline, Acathopanax Senticosus (Eleuthero) Root Extract, 2-Hydroxypropanoic Acid, Isopropyl Cloprostenate, Propylene Glycol, D-Glucitol, Triethanolamine, Actiphyte of Chamomile GL, Hydroxyethylcellulose, Leucidal Liquid, Geogard Ultra, Sodium PCA, Panax Ginseng Root Extract.